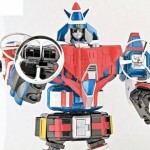 Toyark sponsor HobbyLink Japan has sent along word that they are accepting pre-orders for the newly released Miracle Metal Works Voltron Vehicle Force (aka Masterpiece Vehicle Voltron) by Miracle Production. They have the price listed at 28,381 Yen (USD $294.17; €221.63). Their shipment is due out in July. You can pre-order the item by Clicking Here. People have been waiting anxiously for official word on when the Miracle Production Masterpiece Vehicle Voltron will actually ship to people who ordered it. Well, wonder no more. Miracle Production has posted an update. They have officially stated that you can order the figure directly from them now, and it will ship within 10 days of ordering. There’s also a 7-day return policy (after you receive the figure) should there be any issues. You can see the order page Here. The first batch of orders will include a first edition limited sword. The figure is listed at $309 shipping included. They’ve also released final production shots of the figure, including the packaging. Read on to check those out. 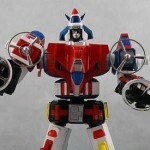 Miracle Production has released a few new photos of their newly released Masterpiece Vehicle Voltron. The new pics give us another look at the finished production version of the figure. Robot Kingdom has it on sale now for $249.90. 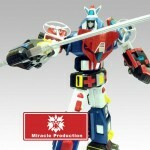 Miracle Production has posted a few new photos of their upcoming Masterpiece Vehicle Voltron. 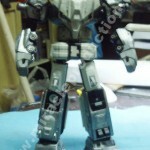 The new pics give us another look at the fully painted production sample. There’s also a photo of the fully painted individual components. This is listed for an April release at a price of $269. Miracle Productions has released a new pic of their upcoming Masterpiece Vehicle Voltron. The new photo finally gives us a look at the colored figure sample. We have previously seen color mock-ups and unpainted sample images. Look for it to be released April 2013 at a price of $269. 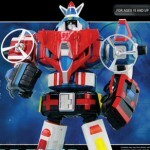 Miracle Production has added some really good new pics of the upcoming Masterpiece Vehicle Voltron. The new pics give us a full look at the fully assembled, though still unpainted, production version. The thing is shaping up to be a winner, but let us know what you think. 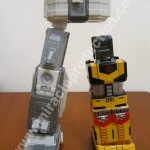 Miracle Production has posted some new photos of their upcoming Masterpiece Vehicle Voltron. The pics show off various sections of the figure. all are unpainted, work-in-progress, pieces, but worth following along if this is something you plan on buying. Click the headline of the story to see them. Miracle Productions has been moving along with their upcoming metal Masterpiece Vehicle Voltron. The figure now has a release date of April 2013 at a price of $269. They have started a Facebook Page to keep fans updated on the progress. 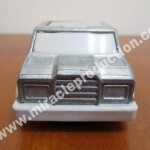 Those updates have included some new pics of the individual vehicles in unpainted prototype form. Click the headline of the story for the images. I’ve also added a few older images for those that have not yet seen them. According to TV Nippon, a Masterpiece Vehicle Voltron (aka Voltron I) will be released this year. Miracle Productions is releasing the figure on April 30. The figure will stand 13 inches tall. It will contain roughly 60% die-cast metal. It will also break down into all 15 vehicles with the ability to merge in to the land, sea and air teams. The first release of the figure will come with 2 swords, a premium die-cast and a plastic version. The price will be $250. Discuss on the Toyark Forums› Views: 12622 › Credit: Bionic Commando of the Toyark Forums!